Oil Bag – with some bracket fabricating tomfoolery the Cubs oil tank is finally attached to the frame. The exhaust pipe slotted into its rightful position snugly ready to pop-pop-pop into action. Weather permitting we may be firing it up tomorrow! One of the reminder decals from an early Honda Goldwing sparkling in the Midwestern sun last weekend. Top of the list? 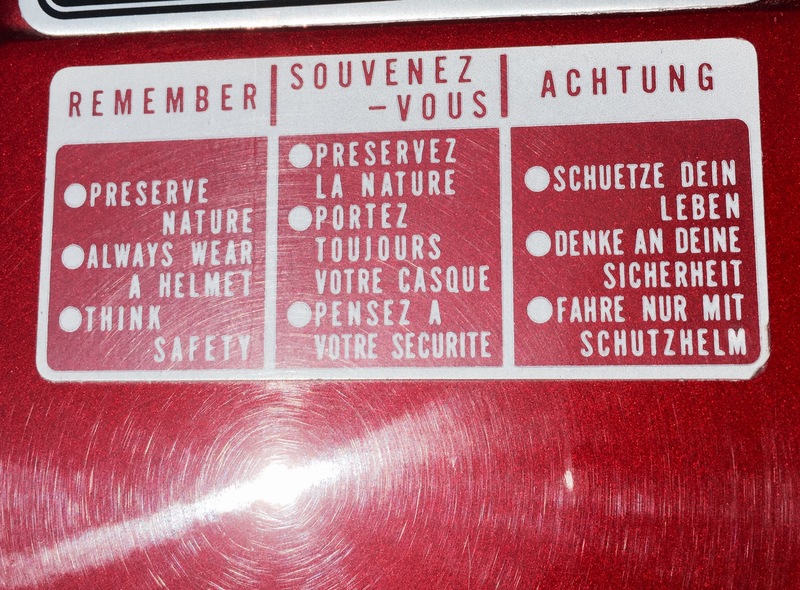 “Preserve Nature” in three languages… Think Global. 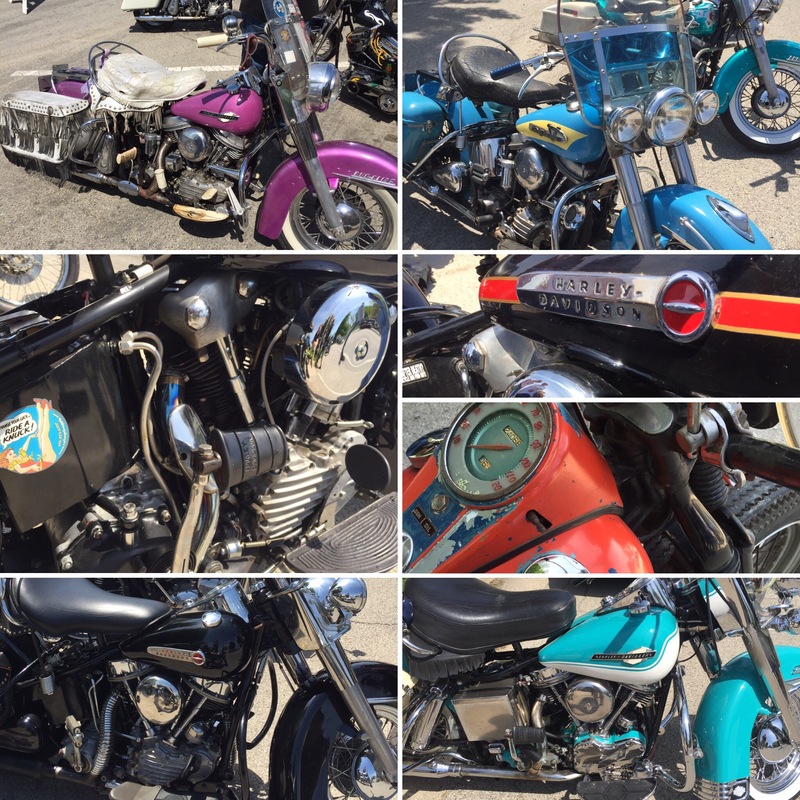 Harley Davidson – the local manufacturer made good attendance at the northern Illinois gathering on Sunday. Each was careworn with decades of roadwon patina. 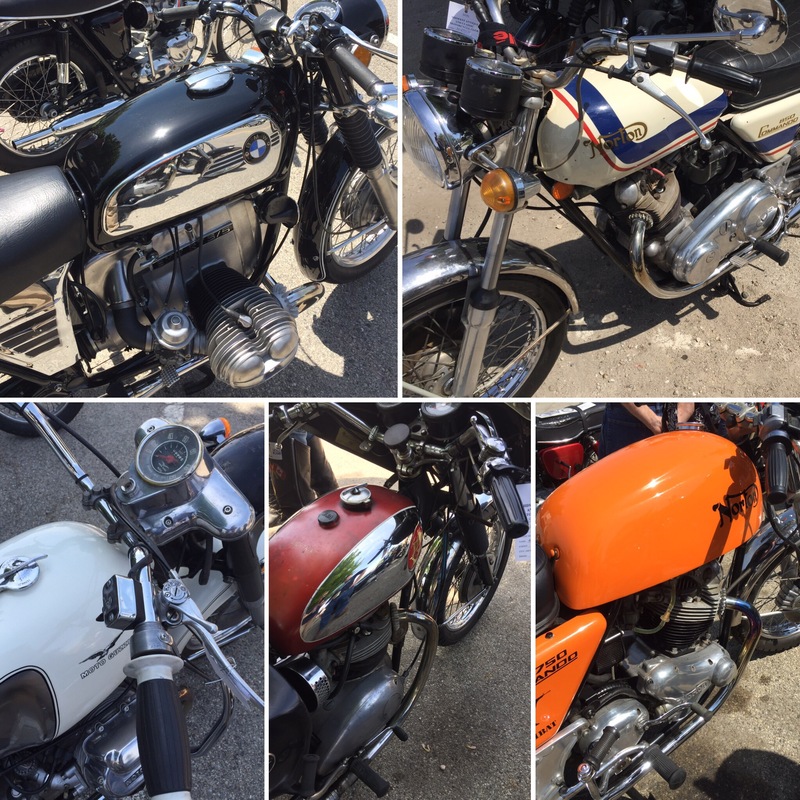 Another bevy of two wheeled beauties to behold from the Hebron show. This time a selection of big Zed Kawasakis from the seventies. Each different to their owners tastes but all rideable as hell! 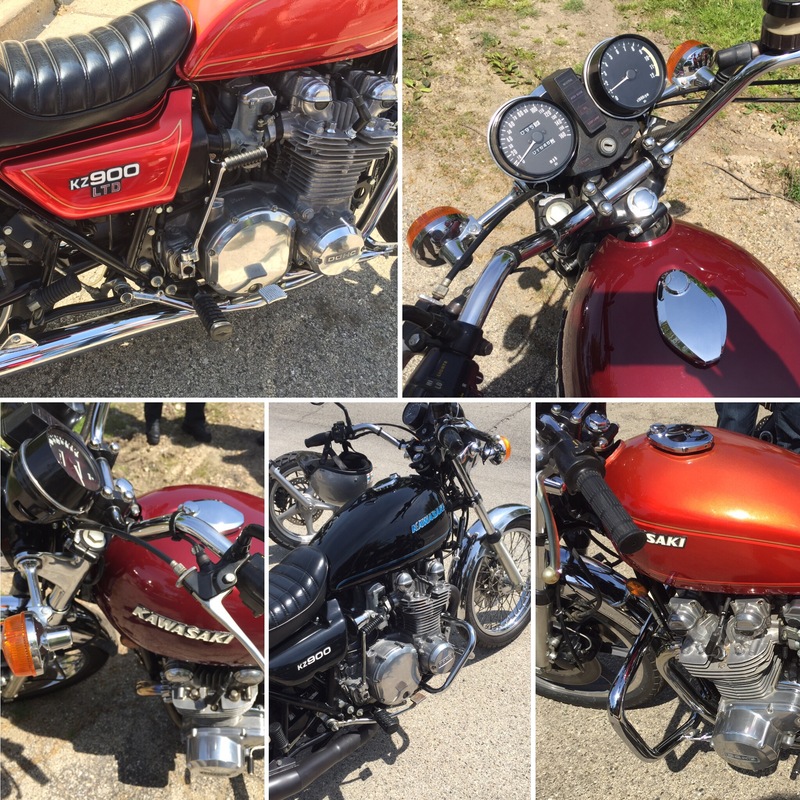 Hebron IL – a glorious day weatherwise and a backroads jaunt through Lake and McHenry Counties ended up in a small crossroads town where a gathering of old and new motorcycles lined the main drag. 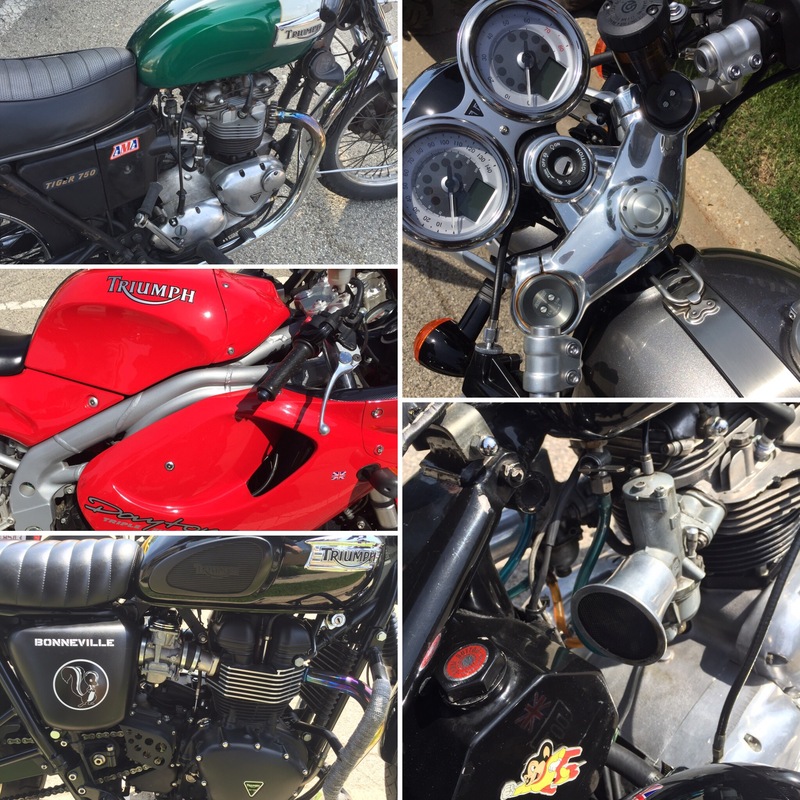 Harley’s aplenty, Indians, Guzzi’s, Beemers and a few British specimens. We’ll follow up the weeks postings with the variety but start with this quintet of Triumphs old and new will start things off. 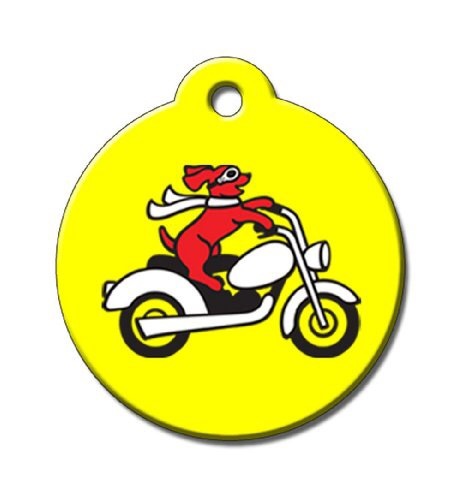 Taking their name after the cult classic Roger Corman 1966 B-Movie starring Peter Fonda this rocker group use the cafe racer as the equivalent to US Hells Angels choppers. 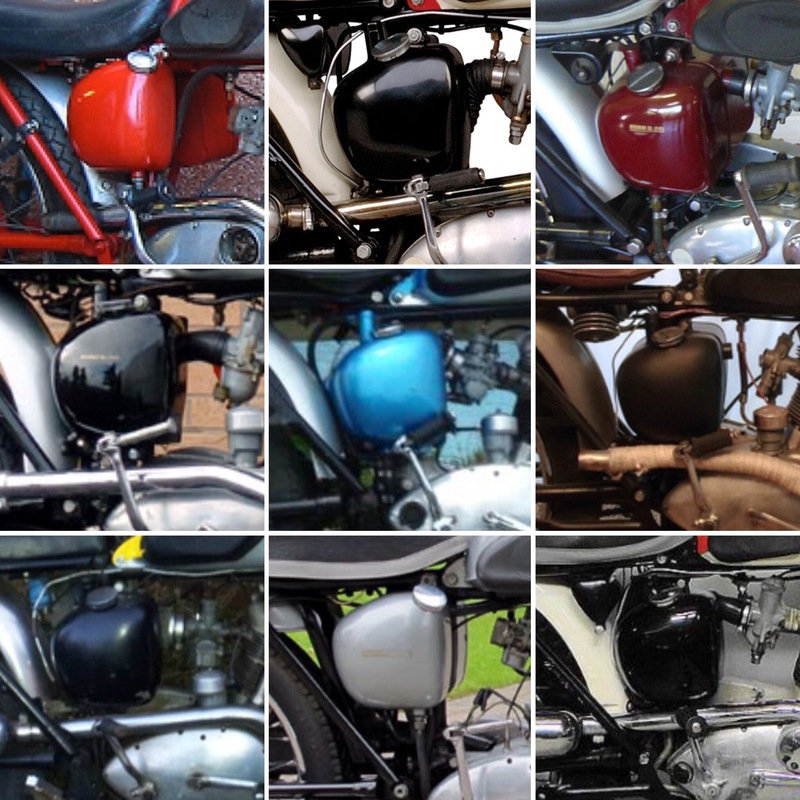 This photo line-up has a bevy of BSA’s, Nortons and Triumphs. 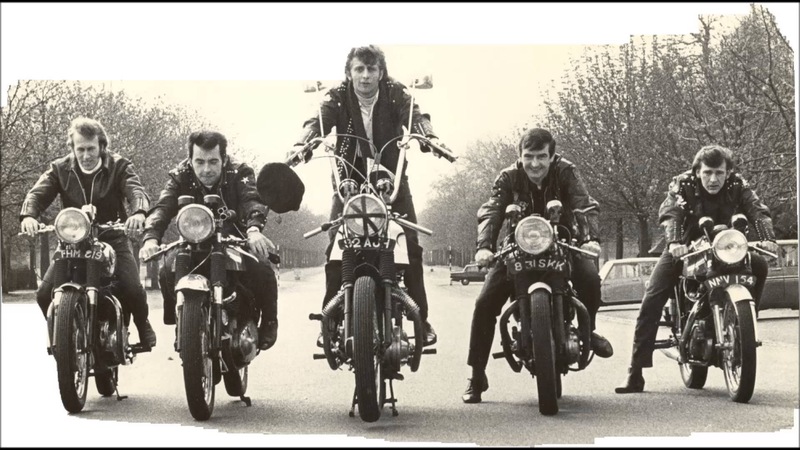 Clip-ons, quiffs, leathers and attitude. 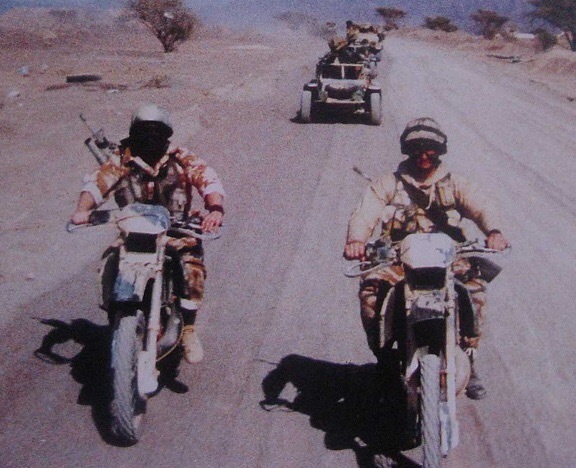 The middle Moto with ape hangers is …? 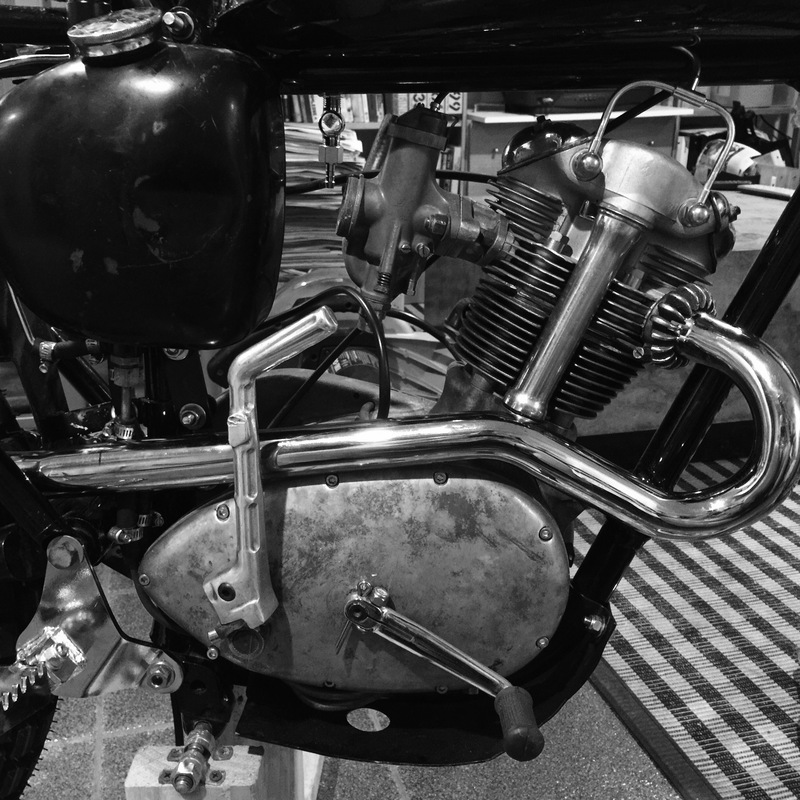 Bonnie ‘n’ Ink – sometimes I wish I had smaller hands to reach into the nooks and crannies found on typical motorcycle engineering. This lucky lass has both a nice table elevating maintenance proceedings as well as the deft feminine digits to perform that work. A bike work table is the next thing on my list of projects. 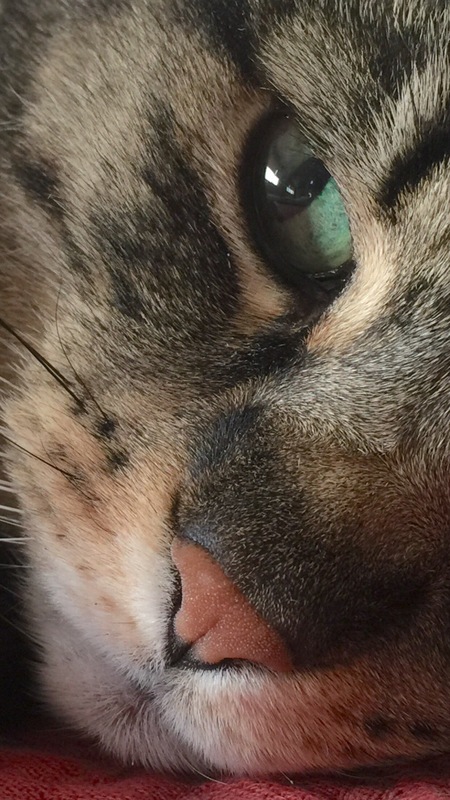 The Cub – a high exhaust pipe routing is creating a bottleneck just under the oil tank. So some on-line investigating the various oil tank mounting lets me see how to get the engine oil feed and return pipes snugged behind a hot pipe. I think I may have a solution: mount the ‘oil bag’ higher with a tab extender allowing the lubricating gubbins to function. 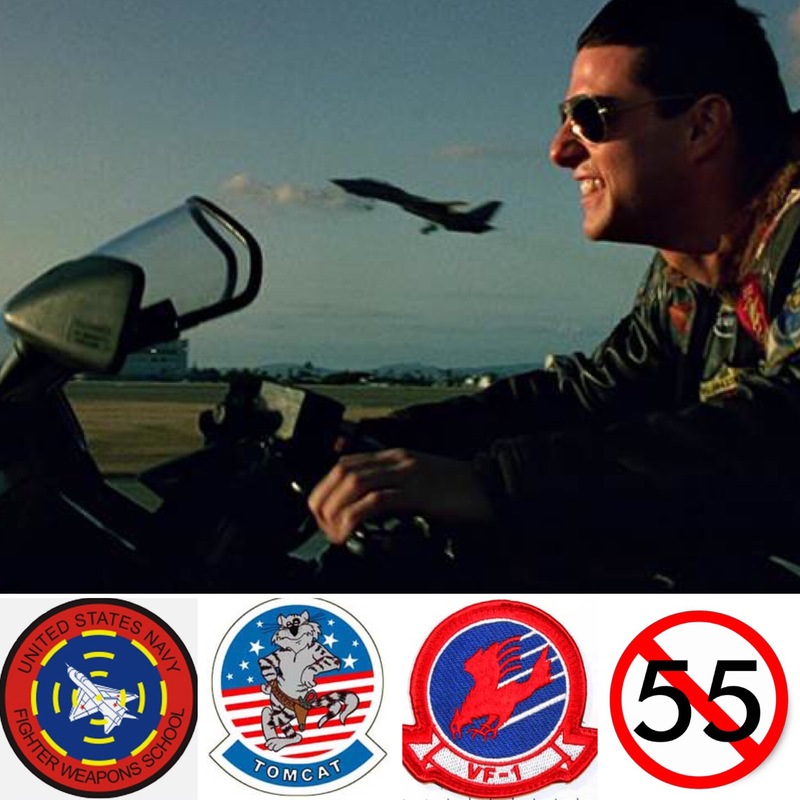 Ninja 900- the fast Kawasaki motorcycle used to race F-14 Tomcats in Top Gun. It’s now 30 years since its release on this day catapulting Tom Cruise into superstardom. 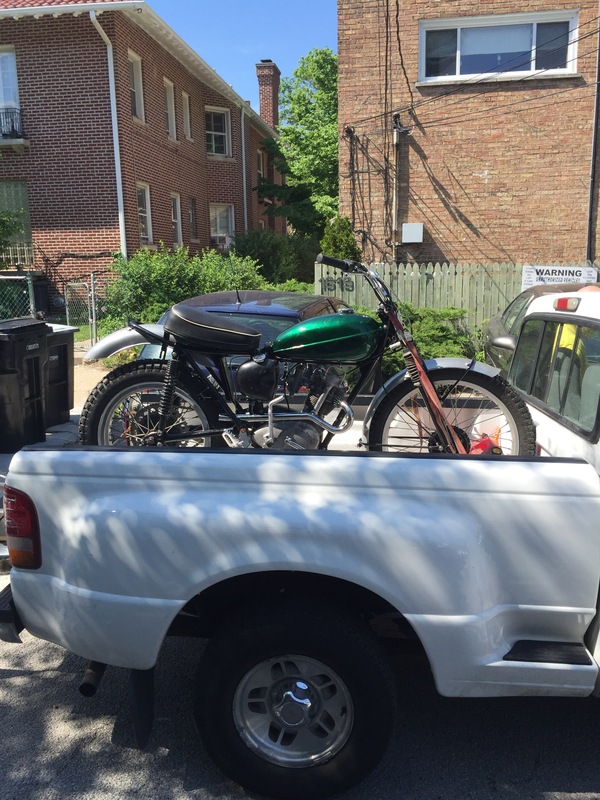 That is a darn good bike! 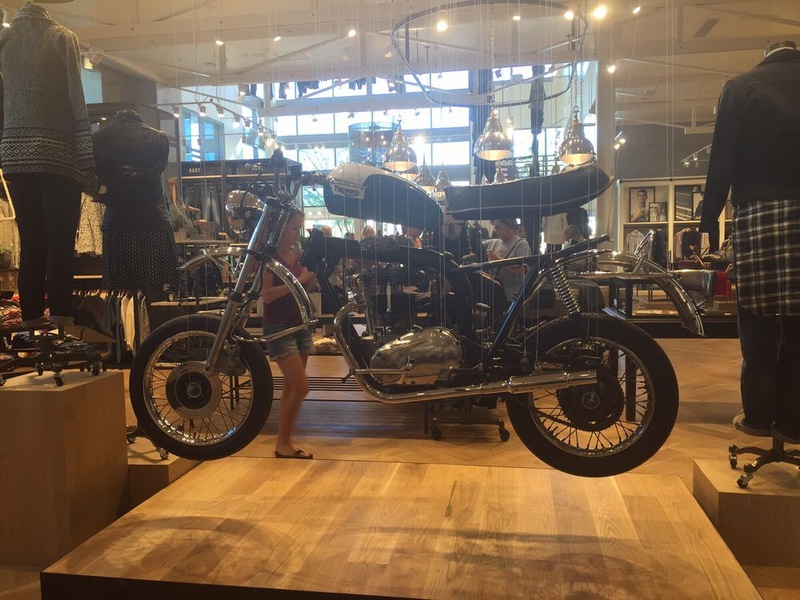 Lucky Brand jeans – the store in Las Vegas has an interesting suspended feature: a disassembled Triumph Bonneville. 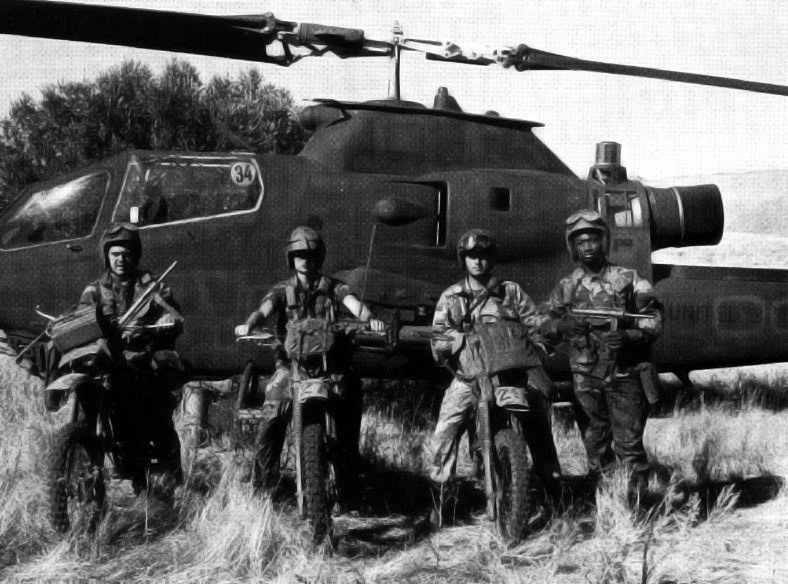 A mid seventies OIF model in semi-exploded repose. 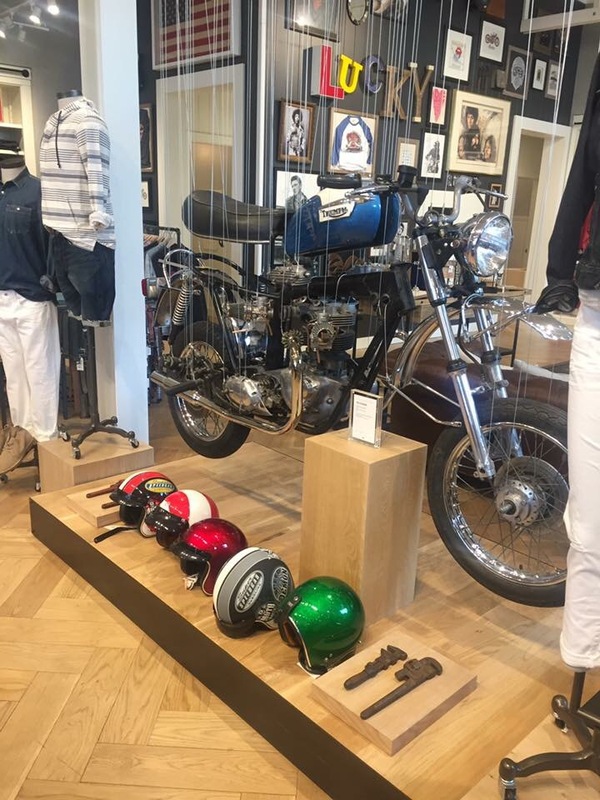 The brand also sells Triumph graphic tee-shirts so this hanging display is right at home.